On this Human Rights Day UNPO would like to highlight the Tibetan Campaign ‘Global Solidarity with Tibet’ launched to raise international awareness about the current situation in Tibet. Tibetans are faced with political repression, cultural assimilation, economic marginalization, and environmental destruction and the situation is even getting worse but still the Chinese government continues with the most repressive policies. Today, on the 10th of December 2012 Human Rights Day is celebrated on the occasion of the 64th anniversary of the Universal Declaration of Human Rights. In 1948 the United Nations General Assembly adopted the Universal Declaration of Human Rights, following the tragedy of the Second World War. When the General Assembly adopted the Declaration, with 48 states in favour, eight abstentions and no votes against, it was proclaimed as a "common standard of achievement for all peoples and all nations", towards which individuals and societies should "strive by progressive measures, national and international, to secure their universal and effective recognition and observance". On this day Human Rights Defenders from all over the world are put in the spotlights and receive credit for their work and efforts towards ending discrimination through speaking out for equitable and effective laws, reporting and investigating human rights violations and supporting victims. Many Human Rights Defenders remain anonymous and often undertake their work at great risk to themselves, their families and their communities. On this occasion, our Tibetan Member decided to launch a global campaign. The Kashag [the executive branch of the Central Tibetan Administration], headed by Sikyong Dr. Lobsang Sangay, launched the Global Solidarity with Tibet Campaign in December 2012. The mission of Solidarity with Tibet is to raise international awareness about the current situation in Tibet by providing readily accessible information and resources for grassroots outreach efforts on behalf of Tibetans in Tibet. “We hope and appeal to individuals, who believe in justice, organizations, governments and leaders, opinion makers and friends in the media to make aware that the situation inside Tibet is getting worse and the Chinese government so far has continued with the most repressive policies," Tibetan Prime Minister Lobsang Sangay stated. Lobsang Sangay says 77 Tibetans have died already this year from self-immolations. He wants the Chinese regime to change the way it’s handling the crisis. 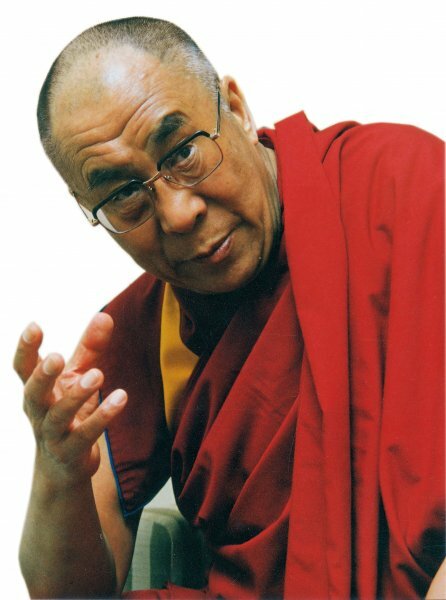 “Yet, the Chinese leaders continue to ignore things and resort to a blame game which is uncalled for, instead they should address the situation in Tibet peacefully through dialogue, for which we are ready and willing"
Recently, the United Nations called on China to allow independent human rights monitors to visit Tibet and address deep-rooted frustrations. The Chinese regime has barred foreign journalists from Tibet. It is also strictly controlling visitors into the region. Furthermore a week ago U.S. Special Coordinator for Tibetan Issues Maria Otero delivered a statement in which she urged the Chinese government to address policies that were creating tension in Tibetan areas, to allow Tibetans to freely express their grievances, to allow free access to Tibet for journalists, diplomats and observers, and to engage in dialogue with the Dalai Lama or with his representatives without preconditions. The Chinese regime blames the Dalai Lama for inciting the deadly protests. The Tibetan spiritual leader has denied the charges, saying he does not encourage this form of protest. On this International Human Rights Day, UNPO calls upon the international community to recognise the challenges for the Tibetan people on matters of political repression, cultural assimilation, economic marginalization, and environmental destruction.